After moving last winter, I was excited to identify the wild birds at our new house. We had the regulars that are easily spotted: robins, chickadees, juncos, and spotted towhee (a favorite.) We had a raucous hawk perching at the edge of our wetlands that I finally identified as a red-shouldered hawk. But as the songbirds returned for their spring courtship routine and I turned my ear to identify them, suddenly I was awakened every night by the ridiculously constant chattering song of something from the creek and marshes below us. What &*^$% bird sings all damn night?? I crammed the pillow over my head, forced myself to sleep, determined to find the source of all that racket. Mind you, it wasn't a horrible song. Just a mixed-up mess of singing, whistling, and some other weird noises. After spending several days trying to spot the culprit out in the thicket of willows and brush down by the canal, I thumbed through every bird book I had. Was it a cat bird? ( I mean, some of the noises sounded like "mews.") A mockingbird? Finally, I turned to my trusted resource: the Internet! I googled "birds that sing at night," copied all the likely suspects, and then tried to find sound clips of each. Yes, this was an exhaustive process, but I was already exhausted from the dang bird singing all night. And now my curiosity had the better of me. I had to know what it was! The Cornell Lab of Ornithology operates a fantastic site with clips of the songs of every bird, as well as pictures and life histories, and maps of where they live. So I studied each bird, trying to determine which one I had. Whatever it was, it was nesting, and the way it carried on, it was obviously quite proud of itself. 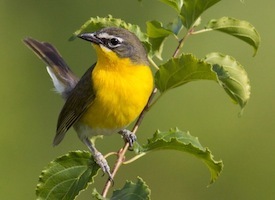 Finally, I clicked on Yellow-breasted Chat. I had never heard of this bird. The Cornell site describes their song as "a collection of whistles, cackles, mews, catcalls, caw notes, chuckles, rattles, squawks, gurgles, and pops." Bingo! And after listening to the sound bite, I had my bird! The Yellow-breasted Chat is a seasonal visitor, here for the spring and summer, and I suppose it will fly south to the tropics eventually. Maybe then I can get some sleep. Actually, I've grown kind of used to the racket now. Good night, little chatterbox. 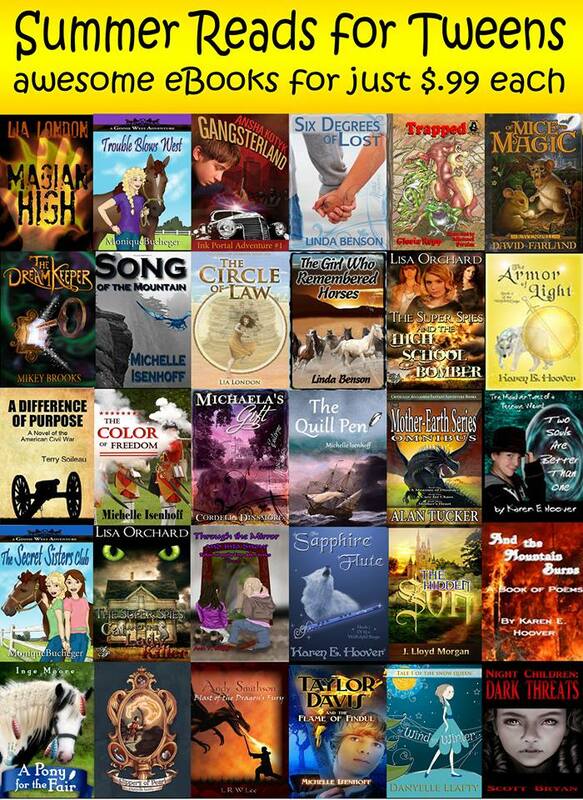 Looking for some great reads for your teens/tweens this summer, or for yourself? The Girl Who Remembered Horses and Six Degrees of Lost, as well bunches of others that look like awesome reads. All only 99 cents each! 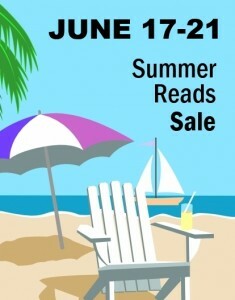 Help us spread the word by sharing news of this fantabulous sale. Meet some new authors! 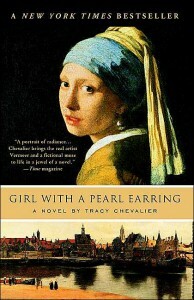 I just started reading a book that I've heard about for some time, called Girl With a Pearl Earring, by Tracy Chevalier. It's set in Holland in the 1660's, which is fascinating for me. Why? Well, for one thing, I'm also very interested in genealogy, and with the help of other researchers have traced my roots back across the Atlantic ocean to the British Isles and Europe. Although we have heard that some of our German ancestors were part Dutch, one, a woman named Magarethe Henrietta Willems was just tracked to a birth date in Amsterdam in 1769. I love to read fiction about this early period and imagine how my ancestors lived. "To the few things I was taking with me my mother added another cap, collar and apron so that each day I could wash one and wear the other, and would always look clean." Quite a stretch to think of the closetful of fashionable clothes many young girls expect today, isn't it? "I would be laundering every day, my hands chapped and cracked from the soap and water, my face red from standing over the steam, my back aching from lifting wet cloth, my arms burned by the iron. But I was new and I was young - it was to be expected I would have the hardest tasks." Reading historical fiction and imagining the lives of my ancestors (especially the women) in the centuries preceding my life gives me a deeper understanding of where I come from and who I am, as well as a keen appreciation for everything I have now: running water, electricity, a relatively easy lifestyle, and plenty to eat. It also gives me an understanding of the struggles, war, and strife that brought my ancestors to this country, hoping for peace and prosperity for their families and descendants. 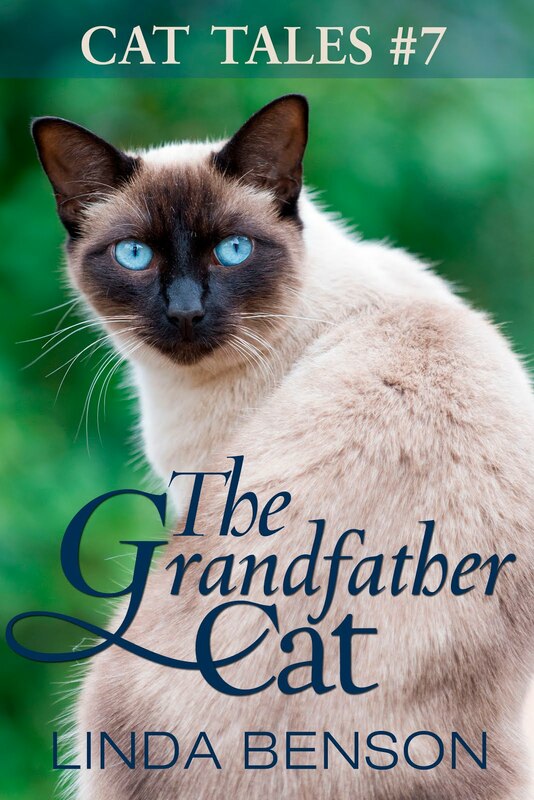 Do you like historical fiction? What time in history do you love to read about?